don't stick it out, originally uploaded by caffeina. wow... 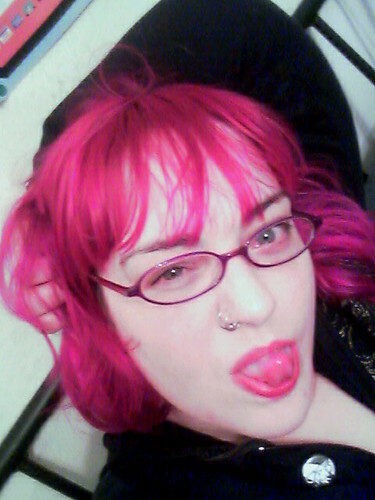 I'm impressed that you matched the color of your tongue..
That's more the product of my crappy celphone camera than some kind of edible dye, however. I'm alarmed and dismayed by my lack of tongue-related userpics. you do need some more tongue pics. I had to mix up the last little bits of about 6 different colors to fake it. Fun with color theory! Heh, you could be on girlswthglasses! I thought it grew that color already.